Right after someone passes is often the most difficult period. Dr. Heidi Horsley interviews Dr. Valarie Molaison about how to handle this time, and what you can do to help support grieving families. Dr. Molaison is the clinical director at Supporting Kids in Delaware. Dr. Horsley points out that society gives people a lot of ideas on how to provide support in immediate situations, such as when planning a memorial. However, what kind of support does a family want afterward? Isolation and abandonment are common feelings after the rituals are gone. People don’t know what to do, and this feeling of isolation can last for years. Early in a loss, people are in need of practical health. They need support with daily tasks, such as sorting mail or ensuring bills get paid. Are the kids getting school supplies in the fall? Is laundry and shopping happening? These practical offers are key. Also, think about what you’re particularly good at. If you make a great lasagna, offer to make one. Offer specific help, especially if you do it for awhile (such as laundry), but ask the griever. Time limited and specific offers are best. If a person doesn’t take you up on the offer, that doesn’t mean you can’t help in some other way in the future. You may need to ask more than once. Offer again and again until you find the right match, and don’t be offended if you get turned down. 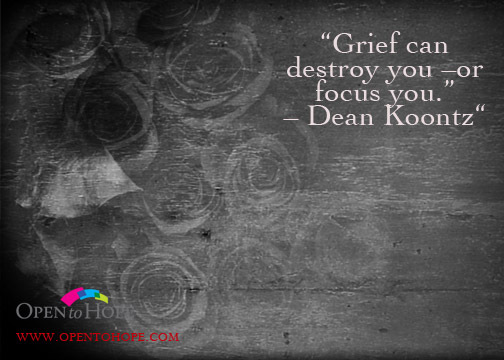 Remember that everyone grieves in different ways. The person may want your help, but not want to be a burden. However, by showing that you’re there no matter what, you can help provide limitless support even if it doesn’t seem that way.